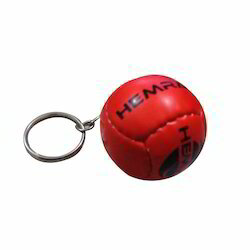 Leading Manufacturer of soccer ball keyring and rugby ball keyring from Jalandhar. We are successfully ranked amongst the topnotch entity offering a wide range of Soccer Ball Keyring. The offered keyring is created using stainless steel materials and rubber by applying latest technology. At our production unit, the professionals adhere to international industry standards along with keeping a strict check on the production. Furthermore, quality controllers from our team opt for strict quality inspection. Apart from this, clients can get the keyring from us at cost effective rates. Printed with your logo, very good promotional item. Also Available in PVC and Synthetic. 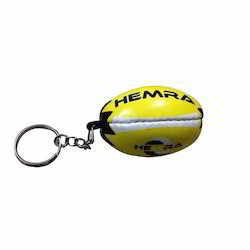 Leveraging on our in-house production unit, we are presenting a wide assortment of Rugby Ball Keyring. At our production unit, the professionals adhere to international industry standards along with keeping a strict check on the keyring production. The offered keyring is developed utilizing stainless steel and rubber materials and by applying latest technology. Moreover, clients can get the keyring from us at cost effective rates. Looking for Promotional Keyrings ?